David Lee Summers is the author of ten novels and over one hundred short stories and poems. His writing spans a wide range of the imaginative from science fiction to fantasy to horror. David’s novels include The Astronomer's Crypt, which is a horror novel inspired by his work at an astronomical observatory, and The Brazen Shark, which was voted best steampunk novel in the 2017 Preditors and Editors Reader's Poll. His short stories and poems have appeared in such magazines and anthologies as Realms of Fantasy, Cemetery Dance, and the bestselling Straight Outta Tombstone. In 2010 and 2016, he was nominated for the Science Fiction Poetry Association’s Rhysling Award and in 2017, he was nominated for SFPA's Dwarf Stars Award. 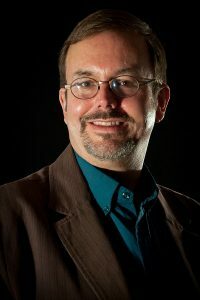 In addition to writing, David has edited five science fiction anthologies including A Kepler’s Dozen, Kepler's Cowboys and Maximum Velocity: The Best of the Full-Throttle Space Tales. When not working with the written word, David operates telescopes at Kitt Peak National Observatory. It may sound trite, but life inspires me to write. To explain further, I work at an astronomical observatory which is a very unique environment. Of course, the atmosphere of discovery helps to inspire my science fiction, but it's also a little spooky and can inspire my horror. My daughters inspire me through their experiences and their zest for life. I like to tell stories that they want to read and will inspire them. Travel inspires me because I like to describe the places I visit and explore those places in my stories. I go through life with my eyes and ears open, because I never know where my next story idea will come from. It might be a conversation, something I see, or something I hear on the news. A lot of my creative process happens away from the keyboard. I have a long commute to work and I like to take long walks. Both are opportunities to envision scenes, let them play out, see where they go. By the time I sit down at the keyboard, I almost feel like I'm relating a memory of something that actually happened, trying to fill in the blanks and explain it all to the reader. I'm an outliner. My outlines are free form documents in my word processor. These days, they're really just a bunch of bullet points. Each bullet point is a plot point that forwards the action. This is not to say my characters don't have other ideas about my outlines. Sometimes as I'm writing, my characters demand I write a scene differently than I originally imagined. If that happens, I sit back, look at my outline and rework the plot to incorporate the new events and decide what that means for the story as a whole. I created detailed character sketches for my earliest books. Now I tend to allow my characters to reveal themselves to me as I write. I'm starting to use Scrivener now, so I do keep notes as I write about my characters so I don't forget about important points or so I don't forget some characteristic of the character I want to revisit. I listen to my characters all the time. Most of the time, I feel like a silent observer watching scenes happen. Sometimes, I get fully into the heads of my characters to experience what they're experiencing and feel what they're feeling. I don't tend to have personal dialogues with my characters, but they do make their feelings known when I outline something they don't want to do. They'll just go ahead and play out the scene the way they want it played. First and foremost, develop a thick skin. No matter how good a writer you are, there will always be someone who doesn't like what you do and will not be afraid to tell you about it. Do what you can to evaluate those criticisms dispassionately. Apply them to future works if they make sense. Learn to ignore them if your book just found the wrong reader. Nearly as important is to read a lot and read widely. It's all too easy when you write to get into a feedback loop where all you hear are your own words. You need to read good books by others to see what they do right, what they do well, and even where they stumbled and fell so you can apply those lessons to your own writing. Reading outside your genre is important, too, because it helps you avoid sounding like everything else written in your genre. It helps you find your own unique voice that reflects your interests. I was a hybrid author before that term was even coined. My books and stories are self-published, published through small press, and even major magazines and presses. I started my own press back in the mid-90s because I was a science fiction fan and wanted to create an outlet for readers. I published small magazines for twenty years and the press now focuses on anthologies. I'm also looking to bring out some of my legacy titles that have gone out of print through my press. That said, I always shop my novels and short stories with other presses. It allows those works to be vetted and, when accepted, that house will cover the expense of professional editing and cover design. I always submit my works to professional, advance paying markets first. If they don't take it, I'll turn to smaller presses as long as they subscribe to the concept that money flows to the author, not the other way around. I think this is an exciting time in book publishing. I like having the choice of buying print books, ebooks, and audio books. There are also a lot of exciting multimedia options available for authors which give an increasing number of options for getting the word out about their books to readers. Of course, the challenge is that there's a lot of competition out there in publishing. There's a real need for a venue that evaluates all books on a level playing field and recommends the best no matter where and how they've been published so readers can find the best books for them. Great interview, David. I love your insights and deep reflection.